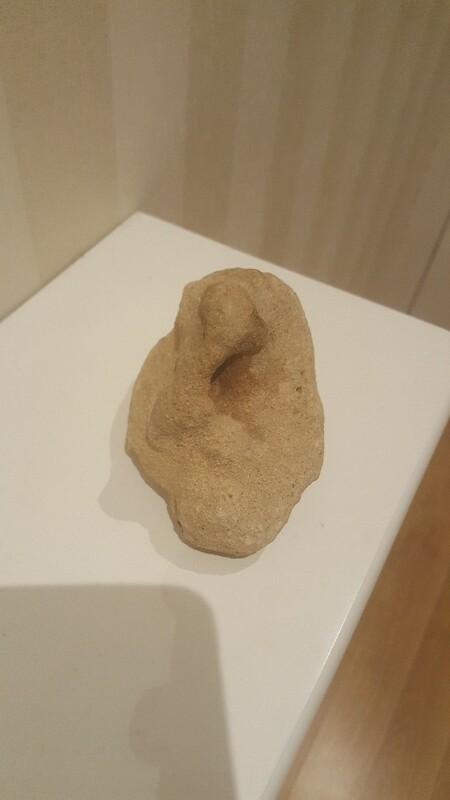 I found this rock on the beach in ibiza a few year ago and brought it home...it looks like a bone and if you wet it it stands out better...ill try and get a better photo of it but what do you think? Hi and welcome. Could I request that you add a scale (a ruler is best) to all photos and take from several angles and as large as possible but in good focus. 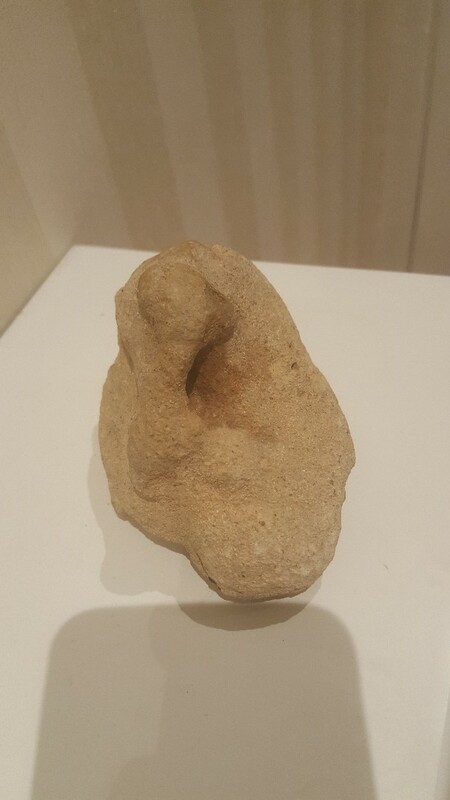 I do not see any bone structure, maybe just a rock. 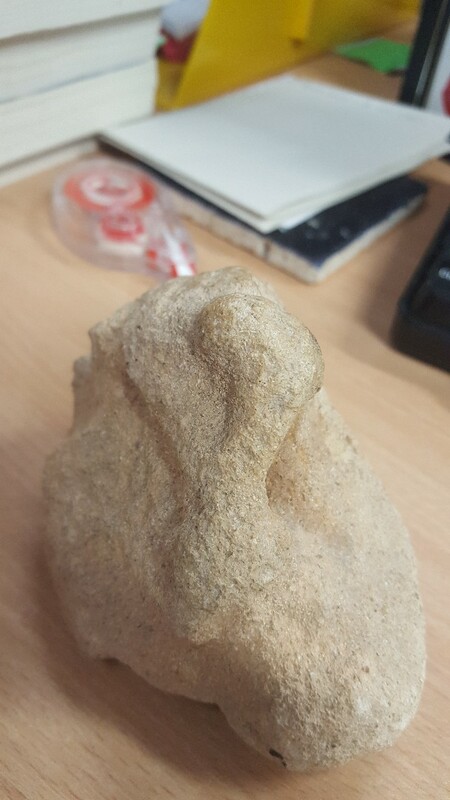 Could you say the town it was found near please so I can check the geology? 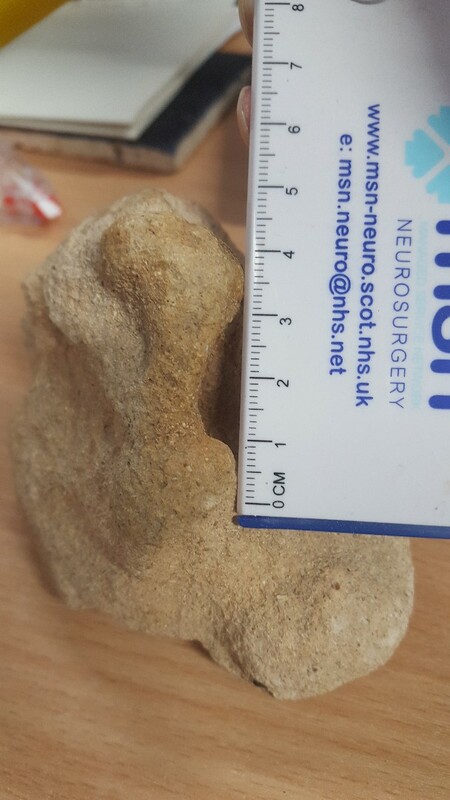 i found it on holiday on the beach in san antonio ibiza.....it was mostly a volcanic rocky beach with a little sand. Hi again, although you last photo is clearer, it doesn't help me much I'm afraid. I think don't think I can add any more - sorry. I see a 'cartoon' bone shape but my problem is, is that the 'bone' consists of the same material as the matrix. So I'd go for pseudofossil. 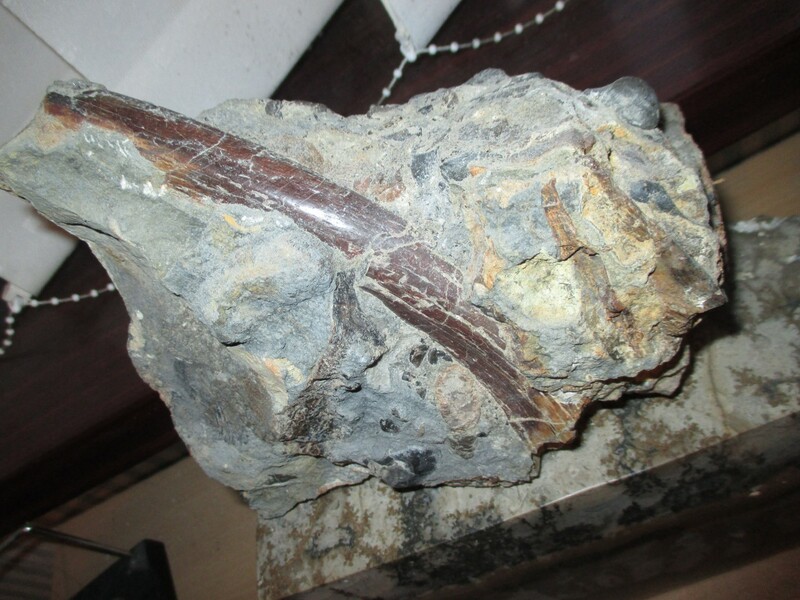 Keep looking, here's a Rheatian bone, the contrast is obvious. Hi Dirty Pete did you find that bone at Aust cliff ? 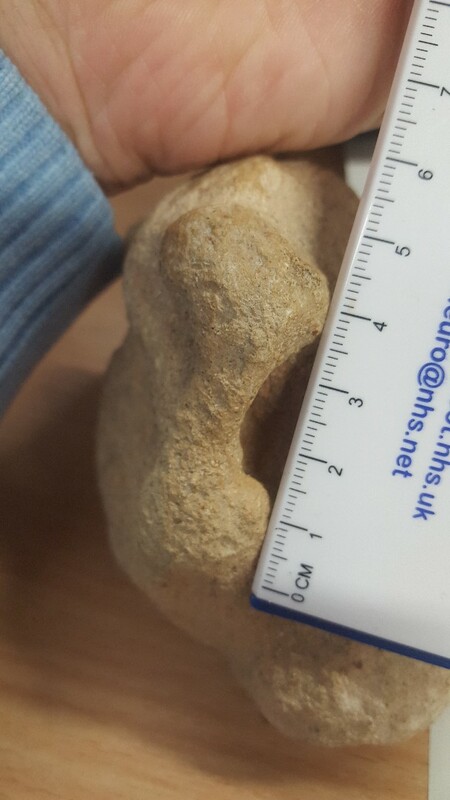 Yes Ben, 20cm of indeterminate saurian rib as far as I can tell. I'm afraid you need infinite patience and heaps of luck and that's assuming you're looking in the right place. 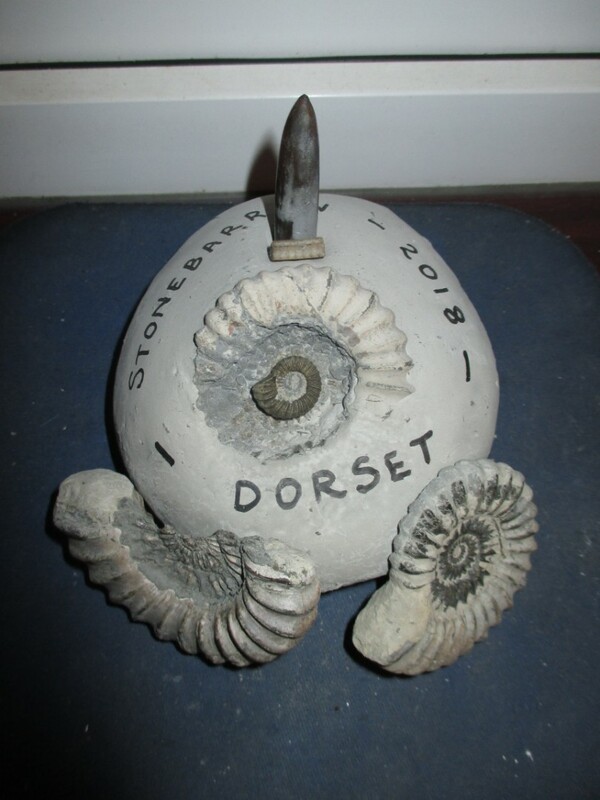 Here are the fruits of walking from Charmouth to Golden cap and back 3 times last summer. 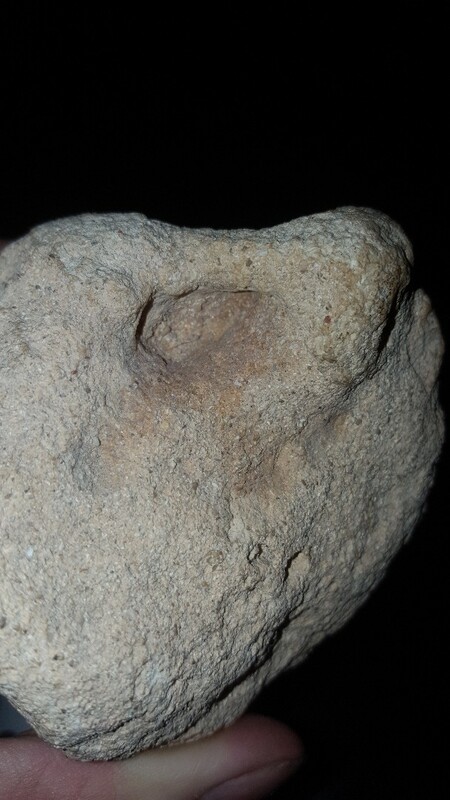 That’s a lovely piece Pete I can never find the right rock at Aust.